I just love hearing the stories of where my marine artworks travel to to find their new homes, whether that be to someone’s office, a kids room or hanging up in people’s homes locally or around the world. These are the latest watercolour sea creatures to be sold! Seeing the looks on people’s faces when they receive my marine artworks as gifts is probably one of the most rewarding experiences you can have as an artist. 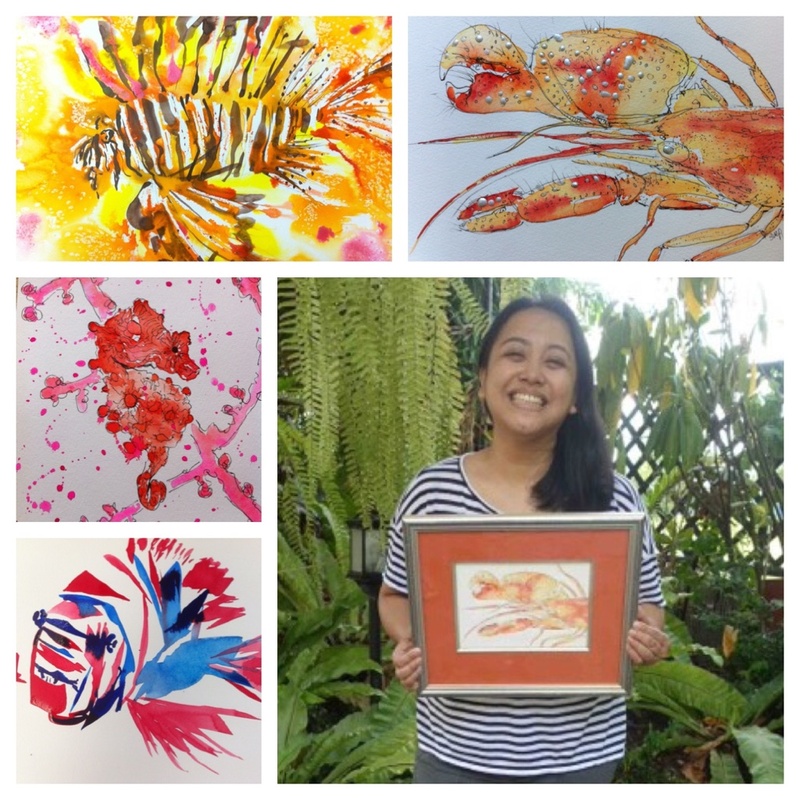 A great example is the glee shown here from Miss Kubi, a CCRES colleague in the Philippines, with her painted Pistol Shrimp (aka. the loudest shrimp in the sea). I’m hoping to start incorporating some of my artwork techniques into my graphic recording with people as well as using it in my series of kids picture books about the wonders under the sea! So stay tuned for more here soon! You can ‘sea’ more of my marine artworks in my gallery here https://drsuepillans.com/artworks/gallery/ and you can follow my creative journey as Dr Suzie Starfish on Facebook (https://www.facebook.com/drsuziestarfish/) and @suepillans on Twitter and Instagram. ← The ART of visual storytelling!